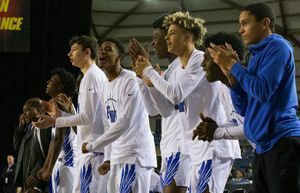 The Patriots led by 17 points, but the defending state champs rallied to win 27-24 to return to the Tacoma Dome. VANCOUVER — The Liberty Patriots have to be sick of the Hockinson Hawks by now. For the third time in four years, Hockinson has eliminated the Patriots in the Class 2A state football playoffs. 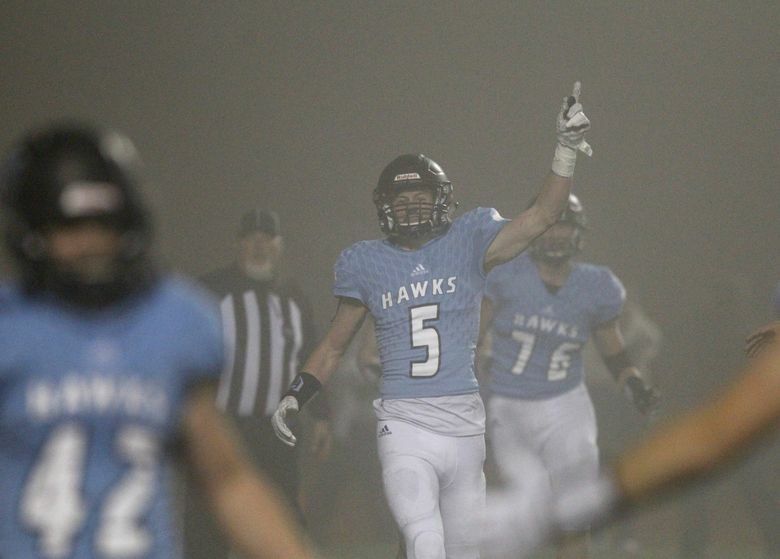 Sawyer Racanelli did a little bit of everything for Hockinson, catching a long touchdown pass, throwing a touchdown pass and rushing for two more as the Hawks rallied from a 17-point deficit to beat Liberty 27-24 in a state semifinal game at McKenzie Stadium. 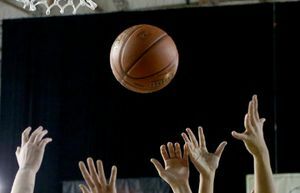 Hockinson, the defending state champs, added to its state-best 26-game winning streak. None of the previous 25 were close like this one. Jacob Thoresen scored two touchdowns and was a beast on defense, and Ryan Kirschner had a 54-yard touchdown run as Liberty opened up a 24-7 lead in the first half. 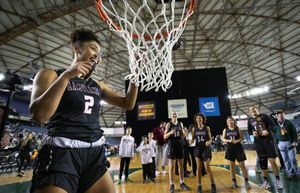 “We played our hearts out,” Thoresen said, adding that he was proud to be part of Liberty’s best class in program history. Liberty went 31-6 in the past three seasons, and finished as state runners-up in 2016. Liberty coach Steve Valach made sure he spent every possible minute with his team on the field after the game before stadium officials dimmed the lights. He said he overheard some fans commenting on his team as the Patriots entered the stadium. Those fans were not impressed with the size of the Patriots. It just made their coach even more proud. Even the Hawks were impressed. 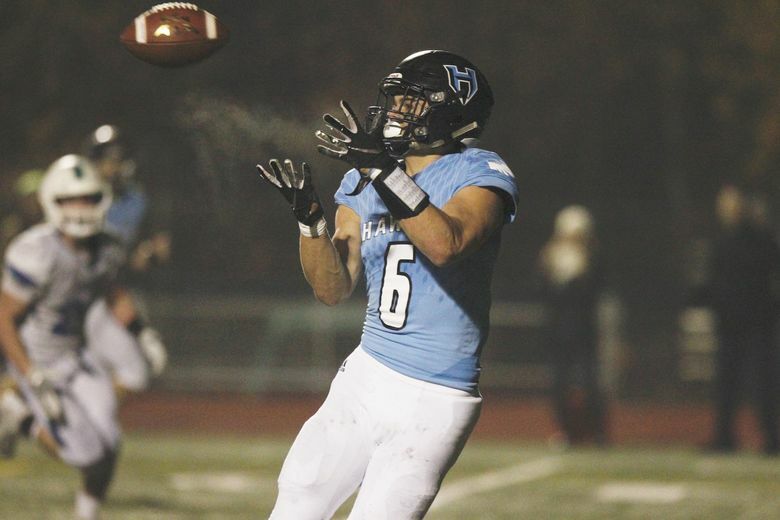 “I definitely didn’t expect them to be as tough as that,” said Hockinson’s Wyatt Jones, who had a key fourth-quarter interception in the end zone, a turning point. 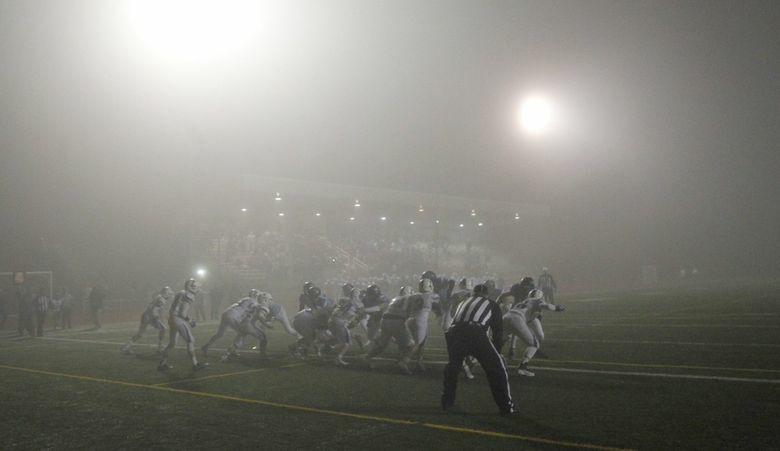 Jones had an interception in the back of the end zone that many fans from the Hockinson grandstands did not see as fog rolled into Vancouver in the second half. Jones saw it all the way, though. Liberty, up 24-20 and on the Hockinson 6-yard line, went with a halfback pass into the end zone, trying to go up by 11 on the first play of the fourth quarter. The Hawks went 80 yards on 14 plays after the touchback, scoring on a 1-yard plunge from Racanelli, who plays quarterback in Hockinson’s wildcat formation. Liberty would not do much against the Hockinson defense on its final drive of the game. Nick Frichtl had two tackles-for-loss in a three-play stretch, and the Patriots lost the ball on downs. Hockinson got a first down and was able to run out the clock. Liberty put up 287 yards of offense in the first half but managed just 69 in the second half. The Hockinson comeback started in the final minute of the first half. Hockinson used two trick plays — a hook and ladder and a wide-receiver pass — to make it a 10-point game. Racanelli threw a 33-yard TD pass to Frichtl. The Hawks did not get close to 50 in this one but did just enough to get past Liberty one more time. Thoresen finished with 112 yards from scrimmage. Liberty quarterback Sam Brown threw for 131 yards and rushed for 51 yards.